Agenda 2030 and its novel Goal 16 on peaceful, just and inclusive societies clearly recognize that sustainable development should be governance-informed development. Goal 16 is larger than the sum of its parts and calls for innovative ways to advance responsive and accountable institutions as an integral dimension to sustainable development. At the policy level, this is done with evidence. On 9 December on occasion of International Anti-Corruption Day, many countries around the world discussed different ways to break the chain of corruption. There is agreement on this intention, but breaking has to be done without harming. There is increasing recognition that context matters, and an understanding of incentives, rents and informal practices matters in the design of anti-corruption strategies. 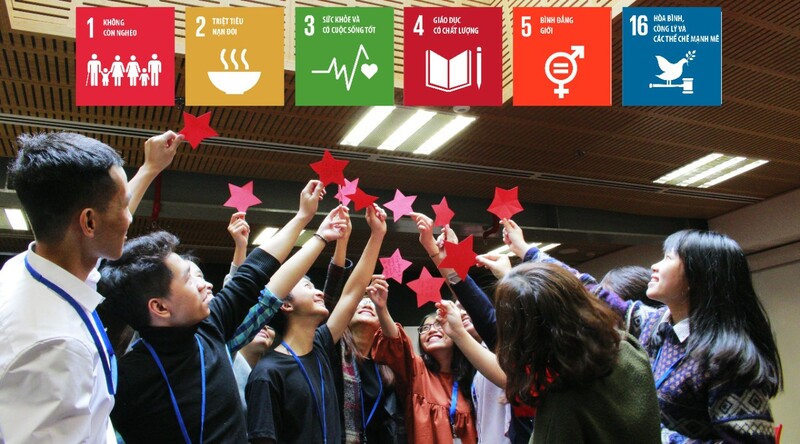 In Viet Nam, UNDP has pioneered the largest and longest multi-year social accountability instrument that asks citizens about their experiences with governance and public administration. The data and evidence are endogenous to the country’s actual rules and regulations and are helping policy makers identify reform bottleneck and design action plans to improve performance and increase citizens’ satisfaction with public services. Taking the policy discussion forward, UNDP hosted a thematic discussion on how anti-corruption and governance-informed development can help create a more equitable society in Viet Nam through evidence-based approaches to policy research. Two rigorous and pioneering policy papers found interesting and useful evidence to advance the intention to substantially reduce corruption and bribery in all its forms (vg target 16.5). The findings based on PAPI data are novel and of significance for policy makers. The first paper entitled “Local governance, corruption, and public service quality: Evidence from a national survey in Viet Nam” asks how does corruption affect quality of healthcare and primary education? And how do transparency, accountability, and citizen participation help reduce corruption? The research reject the idea that, in the absence of efficient institutions and administrative systems, corruption may facilitate development. That is, it finds that corruption reduces the quality of primary education and healthcare, and that effect is consistent over several years. The second paper, entitled “Do good governance and public administration make economic growth more pro-poor? The case of Viet Nam”, explores the relationship between governance, poverty and income inequality within Viet Nam, in an effort to understand basic channels through which governance and public administration affect poverty reduction, particularly at the sub-national level. The research suggests that there may be a positive but decreasing effect of governance on per capita income. That is, improving governance and public administration appears to have greater payoffs for income growth in low-income provinces than high-income provinces. This is relevant, as better governance also reduces income inequality. As a result of these possible income-increasing effects and the inequality-reducing effect, poverty decreased significantly. Viet Nam cannot and does not need to wait for further development before addressing corruption. Combating corruption is imperative for sustainable development. Transparency, accountability, and citizen participation do reduce corruption, despite existing, complex administrative systems. The government’s commitment to fostering good governance principles is critical for anti-corruption success. How to support Viet Nam to realise all the targets by 2030 is an important question for us at UNDP, globally and the country levels. These two policy papers provide very much needed evidence and data to illuminate the ways forward in three distinct ways to start acting now leaving no-one behind in implementing Goal 16. Better governance appears to improve income distribution and reduce poverty. Strengthening citizen and business actors’ participation in the governance of market institutions will not only make them work better, but will reduce corruption, and in turn, poverty and inequality. This includes participation in the design, implementation and monitoring of the new institutions, policies and regulations.